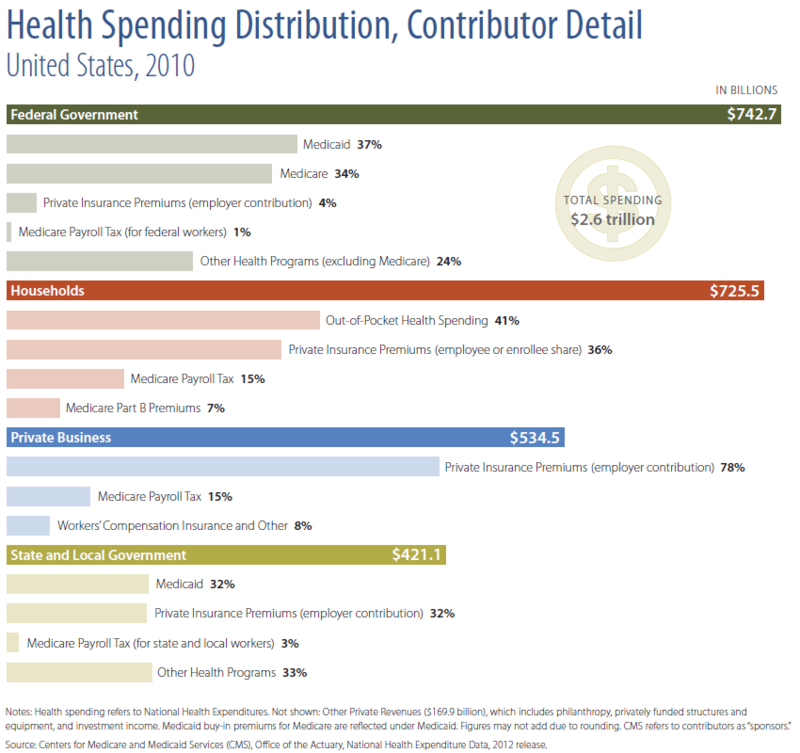 The federal government spent half of its revenues on health care; health care costs only consumed 6% of personal income. 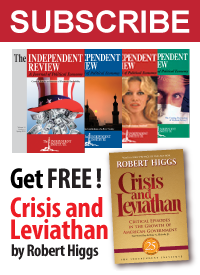 In 2010, the U.S. government took in over 2.16 trillion dollars in revenue. Half of that would be 1.08 trillion dollars, or roughly $3,498 for each of the 308,745,538 Americans counted in the U.S. Census of that year. Meanwhile, total U.S. health care costs totaled 2.6 trillion dollars in 2010. In 2010, the federal government became the largest financer of health care (29% of spending), surpassing households (28%) for the first time. We went through the detailed spending data presented in the chart above and added up all the line items that applied to the Medicare and Medicaid health care spending programs. We came up with the figure of 921.9 billion dollars, which represents 35.5% of the total amount of health care spending in the U.S. in 2010. 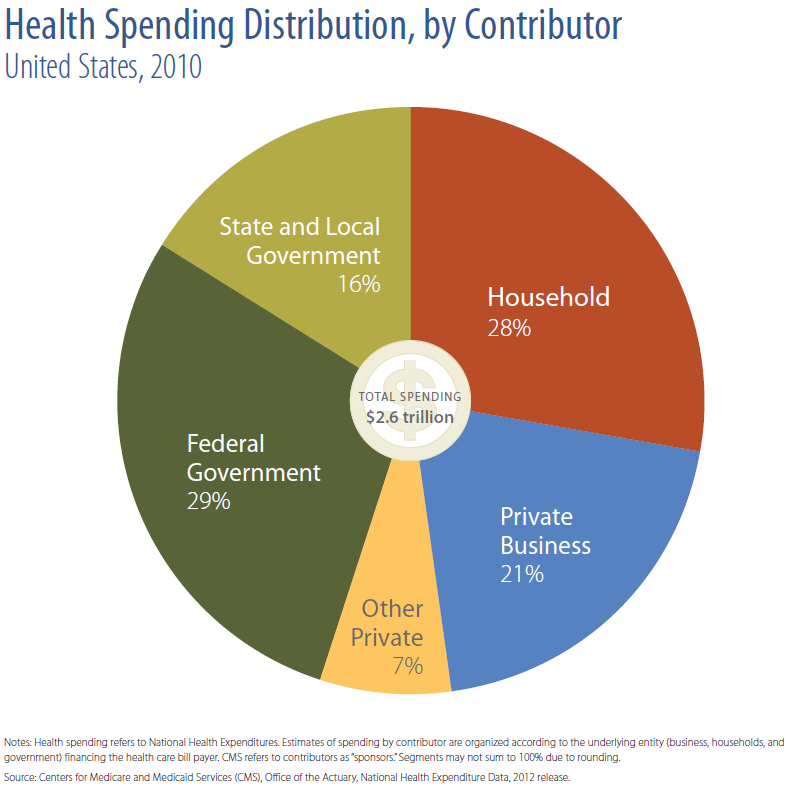 The reason that figure is greater than the federal government’s direct share of health care spending of 29% is because the U.S. government shifts a good portion of the costs for these programs onto individuals, through taxes and premiums, and states, mainly through the Medicaid health care spending program. 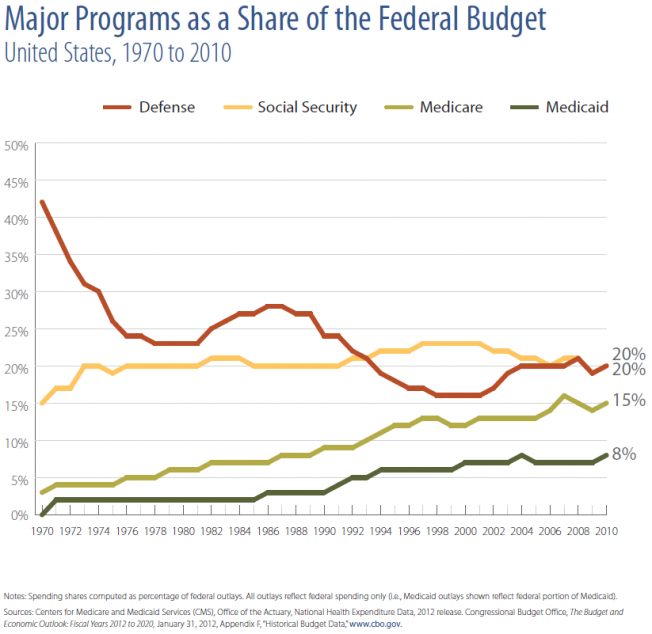 Spending on Medicare and Medicaid together consumed 23% of the federal budget, exceeding defense spending by three percentage points. The U.S. may not be a single payer system, but the U.S. does dedicate a larger share of its economy to public health insurance programs than Canada, France, Germany, Italy, South Korea, Sweden, Switzerland or the United Kingdom.